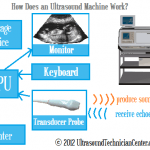 Thyroid Ultrasound scans use a small, high-frequency transducer probe to yield images of the thyroid gland, one of the organs of the body’s hormone-regulating endocrine system. The thyroid gland is crucial in regulating heart rate and a number of other essential functions. It is subject to abnormalities that can be evaluated using ultrasound including lumps on the neck near or on the thyroid. 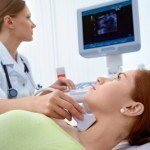 In addition, a thyroid ultrasound can be used to analyze whether thyroid nodules are benign or may require a biopsy. It can detect the presence of further nodules in patients with one or more already identified in a physical exam, and can monitor growth and changes over time in detected nodules. 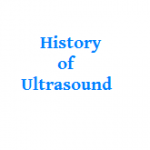 As with other types of ultrasound, thyroid scans can also guide needle biopsies and the insertion of other necessary devices. 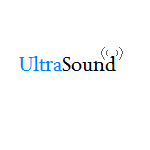 It is performed with a small transducer probe applied to the thyroid area of the throat following the application of ultrasound gel. 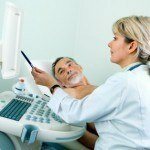 Thyroid ultrasound imaging is limited by the fact that it is not always possible for a scan to reveal whether a nodule is benign or malignant. In these cases, a fine needle biopsy and microscope analysis of tissue may be necessary. Sometimes, the determination is made to watch the growth over time to see if it changes or remains stable and to repeat the thyroid ultrasound after several months. Another limitation is that commonly occurring overactive and underactive thyroid conditions cannot be diagnosed by ultrasound.